http://get-any-bus.ebizautos.com/plugin-detail.aspx?iid=17159527 For Church Seniors Medical Transport Handicapped New Style Non-CDL Well Mainted Mini Shuttle Bus 2009 Ford E350 Non-CDL Wheelchair Shuttle Bus For Church Seniors Medical Transport Handicapped VIN #: 1FDEE35L39DA81301 Stock #: A4889 Condition:Used Clear Title Engine:5.4L V8 Triton Transmission:5 Spd Automatic Mileage:103,373 Drivetrain:Rear Wheel Drive Exterior Color:White Vehicle Overview Call Charlie at (516-333-7483) for additional information about this bus or the listing of the 45 additional vehicles in our inventory. 2009 FORD E-350 NON-CDL MINI SHUTTLE BUS WITH WHEELCHAIR LIFT FORD 5.4L V-8 TRITON ENGINE & AUTOMATIC TRANSMISSION WITH OVERDRIVE. MAJOR VEHICLE EXCHANGE HAS OVER 45 RECONDITIONED MINIBUSES, SHUTTLE BUSES AND PARA TRANSIT WHEELCHAIR VANS FOR SALE READY FOR DELIVERY. FULLY RECONDITIONED AND DETAILED SHUTTLE BUS READY FOR IMMEDIATE DELIVERY. IDEAL FOR ADULT TRANSPORTATION, SENIOR TRANSPORT, RETIREMENT HOMES, ADULT DAYCARE, CHURCH, SHUTTLE BUSINESS, SCHOOL OR TEAM USE. HIGH CAPACITY FRONT & REAR AIR CONDITIONING AND HEAT - UP TO 10 PASSENGER SEATS WITH SEAT BELTS - BRAUN WHEELCHAIR LIFT. VISIT www.getanybus.com OR CALL CHARLIE AT 516-333-7483. COMPLIMENTARY AIRPORT PICKUP OR DELIVERY ARRANGED ANYWHERE IN THE UNITED STATES AND CANADA. Major Vehicle Exchange presents this new style 2009 Ford E-350 Non-CDL with 4 wheelchair positions plus driver mini shuttle bus. Equipped with a economical and dependable Triton 5.4L V-8 engine which delivers superb performance and power under load. This engine is well known for it's power and reliability. The bus is in great condition and has been thoroughly reconditioned, checked and road tested. This bus is very clean, fully equipped and is ready for use. It's seating arrangement is perfect for Adult Daycare, Disability Homes, Retirement Homes, Handicapped Mobility, Schools and much more. Fully inspected and ready for immediate delivery. The automatic transmission shifts smoothly, and the drive train feels like new. All mechanical functions are in excellent working condition and all fluids have been checked and changed as needed. Comfortable accommodations for all passengers, including ice-cold front and rear air conditioning and a rear heating unit for the colder months. The tires are in very good to excellent condition. The exterior has just been detailed for an excellent appearance. The interior looks great and is very comfortable. Safety equipment is located throughout the bus includes seatbelts for all passengers. One Owner Vehicle. This beautiful 2014 MCI J4500 would be a great late model addition to your fleet! This coach is USDOT certified and ready to be put into service today. Turn key! This sweet 2002 VanHool is a southern bus, just came out of service 40 days ago. Owned and operated by a reputable company based out of North Carolina. Floors are redone, interior is very clean, headliner is brand new and upholstered from top to bottom. Several in stock! Call for pricing. 2011 FORD E-350 ELDORADO BUS - 14 PASSENGERS PLUS DRIVER RECONDITIONED AND READY FOR DELIVERY FOR CHURCH, SHUTTLE SERVICE, TOUR, CHARTER AND TEAM SPORTS. THIS BUS IS IN EXCELLENT CONDITION BOTH INSIDE AND OUT! VERY WELL MAINTAINED! FORD 5.4L V-8 TRITON GAS ENGINE - FIVE SPEED AUTOMATIC TRANSMISSION WITH OVERDRIVE. ELECTRIC DOOR - AIR CONDITIONING FRONT & REAR - ANTI-LOCK BRAKES - AM/FM/CD STEREO WITH SPEAKERS THROUGHOUT - REAR LUGGAGE COMPARTMENT. DELIVERY ARRANGED ANYWHERE IN THE UNITED STATES OR CANADA. COMPLIMENTARY AIRPORT PICKUP AVAILABLE. SEE ALL OUR 45 OF OUR BUSES AND WHEELCHAIR VANS AT OUR WEBSITE www.getanybus.com or CALL CHARLIE AT 516-333-7483. Major Vehicle Exchange presents this 2011 Ford Eldorado Aerotech new style E-350 fiberglass 14 passenger bus and equipped with a reliable and economical 5.4L Ford V-8 engine and a 5 speed automatic transmission with overdrive with just 91,000 miles. It will deliver great power and quiet ride and will get your group to their destination in complete comfort thanks to dual A/C and heat. Clean AutoCheck report with zero accidents. We have reconditioned this bus as needed and detailed the coach for an excellent appearance. This pre-owned shuttle can be purchased for much less than the $62,000 price if new. 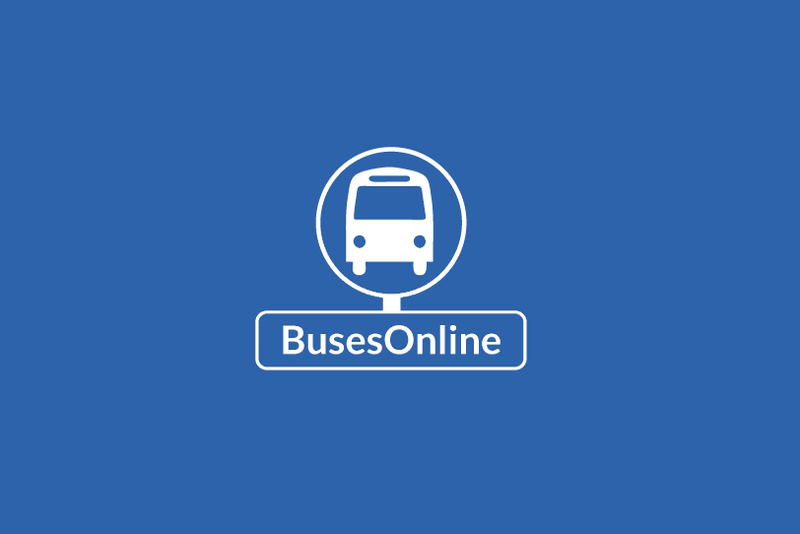 As part of our reconditioning process, the bus was fully serviced and inspected. All electrical and mechanical equipment is in proper working order. There are no known problems with this vehicle and the bus is 100% ready to go. Test-drives welcome! Clean, comfortable and perfect as a transit shuttle or activity and outing vehicle for church groups, adult day care, senior centers, transit shuttle operators, teams or associations. The rear luggage compartment is very spacious with plenty of room for luggage. Rides smoothly and handles well. The body will hold up well for years to come. This bus is well equipped and ready to go. Large passenger cabin with cloth seating will allow for comfortable group travel. The motor is trouble-free and the automatic transmission shifts smoothly. All other mechanical functions work properly. The A/C (front and rear) blows strong and cool, while the heat works well both front and rear. This bus was quality built as you can tell by the pictures. The interior is in excellent shape, having been cleaned regularly. FEATURES & SPECIFICATIONS: Ford E350 Super Duty Chassis - Eldorado Aerotech Bus Conversion - Ford 5.4L Gas Engine - 5 Speed Automatic With Overdrive - Electric Passenger Door - Chrome Wheel Simulators - AM/FM/CD Stereo System with Speakers Throughout the Cabin - Tinted T-Slider Coach Windows w/ Coach Window Paint Treatment - Tilt Wheel - Reclining Driver's Seat - Rear Step - Interior Overhead Lighting - Emergency Roof Hatch - Exterior Entry Lighting - High Capacity Front & Rear Air Conditioning - Rear Heater - Rear Luggage Compartment - Mud Flaps - Fire Extinguisher and First Aid Kit - DOT Equipment Throughout. 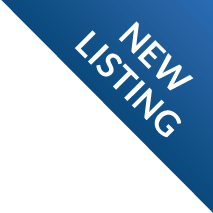 Please call Charlie at 516-333-7483 or visit us at www.getanybus.com for our full inventory of over 45 reconditioned shuttle buses and wheelchair buses / vans for sale! Authorized Resources Ltd. (Major Vehicle Exchange) specializes in the sale of reconditioned and inspected used shuttle buses, minibuses, wheelchair and handicapped buses from Ford, International, GMC, Chevrolet, Freightliner and Bluebird throughout the United States and Canada. Some of the models we carry are Startrans, Krystal Koach, Diamond, ElDorado, Starcraft, Glaval, Ameritrans, Thor, Champion, Tiffany, Turtletop, Coach & Equipment, Goshen, Elkhart, and many more. Our inventory consist of both gas and diesel powered buses perfect for tour, charters, church, camp, limo, transportation companies, senior day care, handicapped assisted living, airport, and medical tours. We specialize in dealer to dealer sales and will assist in shipping and transportation arrangements. Authorized Resources Ltd. is located at 5000 Brush Hollow Road, Westbury, New York. This vehicle has been thoroughly checked out and serviced. Please feel free to make further inquiries at 516-333-7483. We hope you are our next satisfied buyer! NEW LOWER PRICE! Available 12/15/2017 will be two (2) Glaval Bus Universal shuttle buses built on 2015 Ford E-450 6.8L V10 chassis with a PROPANE conversion. These buses can be converted back to gasoline. Propane is a cleaner burning fuel, is less expensive than gasoline, and delivers more horsepower. CLICK HERE TO FIND A PROPANE FILLING STATION NEAR YOU! These buses will have appoximately 49,000 and 51,000 miles respectively, and will be located in Elma, NY (near Buffalo). We can help arrange for shipping if needed. 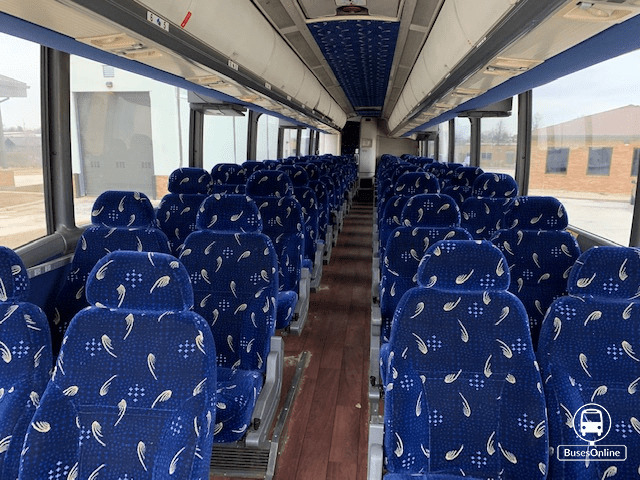 For more information about these buses, call Tom Rojek at Gorman Enterprises by dialing (716) 675-3859 x 214, or by email him at trojek@gormanent.com. http://get-any-bus.ebizautos.com/plugin-detail.aspx?iid=16847539 For Adults Medical Transport Mobility ADA Handicapped VIN #: 1FDXE4FP0ADA13834 Stock #: A4741 Condition: Used Clear Title Engine: Diesel Transmission: 5 Spd Automatic Mileage: 110,220 Drivetrain: Rear Wheel Drive Exterior Color: White Vehicle Overview Call Charlie at (516-333-7483) for additional information about this van or the listing of the 45 additional buses and vans in our inventory. 2010 FORD E-450 21 SEAT SHUTTLE BUS W/ REAR LUGGAGE RECONDITIONED AND READY FOR DELIVERY!! GREAT SELECTION OF USED BUSES FOR CHURCH, SHUTTLE SERVICE, TOUR, CHARTER AND TEAM SPORTS. THIS BUS HAS BEEN RECONDITIONED BOTH INSIDE AND OUT! ELECTRIC DOOR - EXTRA HIGH CAPACITY AIR CONDITIONING FRONT & REAR - ANTI-LOCK BRAKES - CO-PILOT SEAT - REAR LUGGAGE COMPARTMENT - AM/FM/CD STEREO WITH SPEAKERS THROUGHOUT. 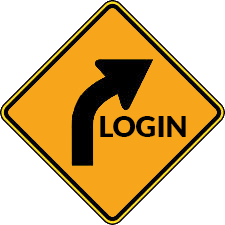 DELIVERY ARRANGED ANYWHERE IN THE UNITED STATES AND CANADA OR COMPLIMENTARY AIRPORT PICKUP AVAILABLE. SEE ALL 45 OF OUR SHUTTLE BUSES & WHEELCHAIR VANS AT www.getanybus.com or CALL CHARLIE AT (516)333-7483. 2010 Ford E-450 new style shuttle bus with 110k miles equipped with a rare recently replaced V-8 PowerStroke diesel engine and a 5 speed automatic transmission with overdrive. 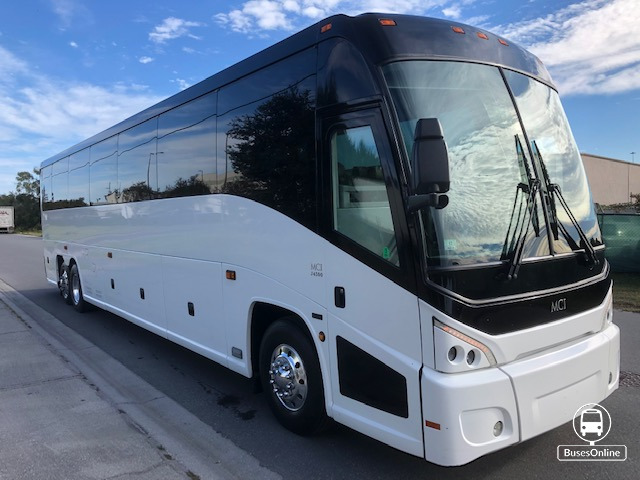 It delivers a smooth ride and will get your group to their destination in complete comfort thanks to dual A/C and heat and versatile cloth seating for all 19 passengers and 2 wheelchair positions plus driver and co-pilot. We have serviced and reconditioned this bus as needed. The cabin is very clean and the exterior of the bus was just repainted for an excellent appearance for it's age and mileage. All electrical and mechanical equipment is in proper working order. The transmission has just been rebuilt and shifts smoothly with no hesitation. Clean, comfortable and perfect as a transit shuttle or activity and outing vehicle for church groups, adult day care, senior centers, shuttle operators, teams or associations. The body will hold up well for years to come. This bus is well equipped and ready to go. Large passenger cabin will allow for comfortable group travel. The high capacity A/C (front and rear) blows strong and cool, while the heat works well. This bus was quality built as you can tell by the pictures. The tires are in very good to excellent condition and the front end & brakes have just been replaced. FORD E-450 WHEELCHAIR SHUTTLE BUS WITH ONLY 66K MILES! 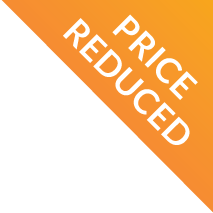 MAJOR VEHICLE EXCHANGE HAS OVER 45 RECONDITIONED SHUTTLE MINIBUSES AND WHEELCHAIR BUSES & VANS FOR SALE READY FOR DELIVERY. EXTREMELY LOW MILEAGE FORD TRITON 6.8 V-10 ENGINE & AUTOMATIC TRANSMISSION WITH OVERDRIVE. WHEELCHAIR LIFT EQUIPPED SHUTTLE BUS WITH SEATING FOR UP TO 5 WHEELCHAIRS AND DRIVER. IDEAL FOR ADULT TRANSPORTATION, SENIOR TRANSPORT, RETIREMENT HOMES, ADULT DAYCARE, CHURCH, SHUTTLE BUSINESS, WORKER TRANSPORT, SCHOOL OR CAMP USE. HIGH CAPACITY FRONT & REAR AIR CONDITIONING AND HEAT - CRUISE CONTROL - VINYL SEATING WITH SEAT BELTS - ELECTRIC WHEELCHAIR LIFT - AM/FM/CD RADIO - ANTI-LOCK BRAKES. VISIT www.getanybus.com OR CALL CHARLIE AT 516-333-7483. COMPLIMENTARY AIRPORT PICKUP OR DELIVERY ARRANGED ANYWHERE IN THE UNITED STATES AND CANADA. Major Vehicle Exchange presents this Ford E-450 with 5 wheelchair positions plus driver shuttle bus and just 66,000 miles! Equipped with an extremely low mileage rugged and dependable Triton 6.8L V-10 engine which delivers superb performance and power under load. This engine is known for it\'s low maintenance and reliability. The bus is in great condition and has been thoroughly reconditioned, detailed cosmetically and road tested. This bus is very clean, fully equipped and is ready for use. It\'s seating arrangement is perfect for Tours, Charters, Shuttle Service, Church, Senior and Adult Daycare, Retirement Homes, Handicapped Mobility, Schools and much more. Fully inspected and ready for immediate delivery. The automatic transmission shifts smoothly, and the drive train feels like new. All mechanical functions are in excellent working condition and all fluids have been checked and changed as needed. Comfortable accommodations for all passengers, including ice-cold front and rear air conditioning and a rear heating unit for the colder months. The tires are in very good condition. The exterior has been touched up and is in very good condition for it\'s year and mileage. The interior looks almost new and is very comfortable. Fully maintained by the original owner. Safety equipment is located throughout the bus includes seatbelts for all passengers. FEATURES & SPECIFICATIONS: 2009 Ford E-450 Super Duty DRW Wheelchair Shuttle Bus - 66K Mile Triton 6.8L V-10 Gasoline Engine - Electric Wheelchair Lift - Backup Alarm - Exterior Auxiliary Lighting - Manual Passenger Door - Drivers Entrance Step - Advanced Fast Idle System - Front and Rear Heat & A/C - Rear Backup Camera - Wheelchair Safety Interlock - 6 Vinyl Seats With Seat Belts (additional seating can be added) - Overhead Hand Rails - 5 Wheelchair Positions - Gray Rubber Transit Floor - Automatic Wheelchair Restraints - Anti Lock (ABS) Brakes - AM/FM/CD Stereo - Chrome Wheel Simulators - Cruise Control - Tilt Wheel - Mud Flaps - Tinted T-Slider Windows - Rear Door - DOT Safety Equipment. Authorized Resources Ltd. (Major Vehicle Exchange) carries a great inventory of reconditioned and inspected used shuttle buses, minibuses, wheelchair and handicapped buses and vans from Ford, International, GMC, Chevrolet, Freightliner and Bluebird and delivers throughout the United States and Canada. Some of the models we carry are Startrans, Krystal Koach, Diamond, ElDorado, Starcraft, Glaval, Ameritrans, Girardin, Thor, Champion, Tiffany, Turtletop, Coach & Equipment, Goshen, Elkhart, and many more. Our inventory consists of both gas and diesel powered buses and vans perfect for tour, charters, church, camp, limo, transportation companies, senior day care, handicapped assisted living, airport, and medical transport. We specialize in dealer to dealer sales and will assist in shipping and transportation arrangements. Authorized Resources Ltd. is located at 5000 Brush Hollow Road, Westbury, New York. We offer assistance for delivery to the following States and Territories: Alabama, Alaska, Arizona, Arkansas, California, Colorado, Connecticut, Delaware, District of Columbia, Florida, Georgia, Hawaii, Idaho, Illinois, Indiana, Iowa, Kansas, Kentucky, Louisiana, Maine, Maryland, Massachusetts, Michigan, Minnesota, Mississippi, Missouri, Montana, Nebraska, Nevada, New Hampshire, New Jersey, New Mexico, New York, North Carolina, North Dakota, Ohio, Oklahoma, Oregon, Pennsylvania, Puerto Rico, Rhode Island, South Carolina, South Dakota, Tennessee, Texas, Utah, Vermont, Virginia, Virgin Islands, Washington, West Virginia, Wisconsin, Wyoming and in Canada to Alberta, British Columbia, Manitoba, New Brunswick, Newfoundland, Northwest Territories, Nova Scotia, Ontario, Quebec, Saskatchewan and the Caribbean. Please feel free to call and work out your arrangements with Charlie at 516-333-7483. We hope you are our next satisfied buyer! NEW 2015 Champion CTS RE 43 passenger. **PRICE REFLECTS CURRENT HIGH BID AND IS SUBJECT TO CHANGE AT ANY TIME DURING THE ONGOING AUCTION** Online Auction for Government Surplus - Auction Ends 4/17 /19 - to view auction details go to Location: Draper, Utah VIN: 1FDWE35L06HB14540 2006 ELDORADO AEROTECH 220 12 SEATER + 2 WHEELCHAIR POSITION BUS UNLEADED -- WHITE -- 46,629 MILES SCRATCHES - DINGS - REAR SECTION OF BUMPER PULLED AWAY FROM BODY LEFT MIRROR CONTROL DOESN'T WORK LIFTGATE DOESN'T WORK GovDeals.com is the online auction platform where you can bid on and buy government surplus. **PRICE REFLECTS CURRENT HIGH BID AND IS SUBJECT TO CHANGE AT ANY TIME DURING THE ONGOING AUCTION** Online Auction for Commercial Surplus - Auction Ends 4/11/19 - to view auction details go to https://www.auctiondeals.com/index.cfm?fa=Main.Item&itemid=1&acctid=12962 Location: East Brunswick, New Jersey VIN: 1GBJG31U961231666 2006 Make: Bluebird Model: B2VC1611S Mileage: 129,800 VIN: 1GBJG31U961231666 Running Condition: Runs very good Engine: 6.0L Transmission: Automatic Tires: Michelin front and rear, very good Brakes: Excellent This bus maintained well Normal wear and tear 1 wheelchair position Bus as is Condition: Excellent AuctionDeals.com, powered by GovDeals is the online auction platform where you can bid on and buy commercial assets. **PRICE REFLECTS CURRENT HIGH BID AND IS SUBJECT TO CHANGE AT ANY TIME DURING THE ONGOING AUCTION** Online Auction for Government Surplus - Auction Ends 4/15 /19 - to view auction details go to https://www.govdeals.com/index.cfm?fa=Main.Item&itemID=12&acctid=9812 Location: Chelmsford, Ontario Canada VIN: 1FDXE45S66HB01602 2006 Ford Econoline E-450 CUTAWAY, 6.8L V10 SOHC 20V. Removed from service - March/ 2017 Condition when removed from service - Started & ran Current condition - Mechanically Certified Apr. 4/19 Reason for being auctioned - No longer required Maintenance Schedule - Every 5,000KM and annually as required Fuel - Gas Transmission - Automatic Drive-train - 2WD Notable attachments - Handicapped lift inspected semi-annualy Notable damage - None Notable - None Cracked glass - No Known issues - None Recent major repairs (last 12 months) - Repairs to mechanically certify Items seen in images or video NOT included with asset - TBA Exterior - Scratches, dents, dings & rust are present Exterior - Corporate decals have been (or) will be removed - Impressions may remain GovDeals.com is the online auction platform where you can bid on and buy government surplus.